When our patients skip out on sleep and then try to catch up in the following days with longer bouts of sleep, it is tied to worse cognition–both in attention and creativity–in young adults. The more varied a person’s sleep patterns are, the worse their cognition declined across the week. In these instances, it makes learning and completing tasks quite difficult. For this reason, we want to ensure our young adult patients are getting the appropriate amount of rest and screened for sleep apnea. Whether a person is completing a project, studying for school, or binge-watching their favorite show on Netflix, losing sleep and then trying to catch-up on sleep is never a good idea. Irregular sleep patterns have a negative effect on a person’s ability to focus for planning, making decisions, correcting errors, and remaining attentive while driving. Erratic sleep can also have a significant impact on creativity, meaning it is harder to think on your toes for various projects. Creativity is often described as a person’s ability to see a link between things that might seem unrelated at first, but then are able to create a link. In addition to a lag in creativity, many young adults will experience a drop in their working memory, which enables them to hold memories for a short time while also completing a separate task. Sleep significantly improves creativity and memory, which is why it is important for us to ensure our patients are getting the sleep they need to complete daily tasks without issues. If you notice your patients are experiencing signs of sleep deficiency or they mention how they crammed for an exam and lost sleep, but it’s ok because they will sleep this weekend, make sure you provide proper education. Inform those patients of the need for regular sleep every day and not just some days. Additionally, screen your patients for sleep apnea–there is a chance some patients might also be suffering from sleep apnea. When this is the case, no matter how much sleep they get, they will continue to struggle with their daily tasks. Be aware and look out for common symptoms so you can help your patients lead healthy, happy lives. Let’s look deeper into cognition with young adults, so we can continue to provide the best care possible. What are ways you might look for signs and symptoms in your patients? Share your ideas and let’s see how we can continue to help! We’ve previously discussed sleep apnea and its prevalence in truck drivers, so you’re already aware of the high risk of accidents there. While we continue to educate and raise awareness for sleep apnea, we’ve got a little extra help – Truckers for a Cause. I think it’s great! The more awareness for sleep apnea, the better! What is Tuckers for a Cause? Bob Stanton is a cofounder of Truckers for a Cause, and is a truck driver. Truckers for a Cause is dedicated to educating truckers about the dangers of sleep apnea. In their words, “people helping people with sleep apnea”. This is a great cause and one that should never be taken lightly. If you are aware of a truck driver in your life, or a patient that might be a truck driver, direct them to this group for further help and guidance. While at a conference on fatigue research, Stanton outlined several challenges truckers face in treating sleep apnea with the use of a CPAP machine in-cab. This is where dentists can step in. We understand that the use of a CPAP machine while on the road can be difficult and bulky, which is why an oral appliance might be a great alternative–truck drivers can get the rest they need, while treating their sleep apnea. It’s a win-win situation. “A person is physically qualified to drive a commercial motor vehicle if that person: Has no established medical history or clinical diagnosis of a respiratory dysfunction likely to interfere with ability to control and drive a commercial motor vehicle safely. It’s interesting to look into this topic further because truck drivers who suffer from sleep apnea can directly affect other drivers on the road. This is why so many regulators have taken a strict stance on testing for sleep apnea in truck drivers. Let’s take charge of this new insight and new partner in sleep apnea care. What steps do you think we should take to further educate truck drivers on the importance of sleep apnea treatment and how oral appliance therapy can help? I came across this article on Delaware Online that I wanted to share with you all. We’ve touched base on the idea that sleep apnea has a significant impact on the economy, but costs even more when it goes untreated. According to the American Sleep Apnea Association, 22 million Americans suffer from sleep apnea, but more than 80% do not receive a diagnosis. We don’t keep track of numbers specific to each state (but we should). In Delaware, those who treat sleep apnea (whether it is dentists or medical professionals), have said that awareness is on the rise in Delaware–that’s something every state should attain to do. A clinician education specialist with the Delaware Sleep Society stated that they had seen an increase in their study volume and are dedicated to promoting good sleeping habits. In fact, in March 2015, about 100 patients visited the Delaware Sleep Society’s sleep disorder center. The number increased to 254 during the same month a year later. And, while statistics for 2017 are not yet available, we can take a guess that the number increased again this year. We need to improve our education and availability of information for patients so they know the risks at hand for untreated sleep apnea. Delaware is a great example of how the numbers are increasing due to awareness–we just need to hop on board. Nationwide, sleep disorder centers saw a four percent growth every year between 2010 and 2015, according to IBISWorld, a Los Angeles-based tracker of consumer data. Due to the continued growth, in 2010 there were 2,280 sleep disorder centers in the U.S. generating about $5.9 billion. Then, in 2015, there were about 2,800 centers with an estimated revenue of $7.1 billion. This growth will continue to increase to $10 billion by 2020. However, the economic impact of sleep apnea goes far beyond the economic revenue for those who treat sleep apnea. When sleep apnea goes undiagnosed, the economic burden is about $149.6 billion, according to the American Academy of Sleep Medicine. This includes nearly $87 billion in lost productivity, $26 billion in car crashes and $6.5 billion in workplace accidents. Untreated sleep apnea can lead to an array of other serious health problems including heart disease, diabetes and depression. As a result, undiagnosed sleep apnea leads to $30 billion a year in increased health care costs. According to the AASM, if everyone who suffers from sleep apnea received treatment, it would create a savings of just over $100 billion–now that’s a lot! 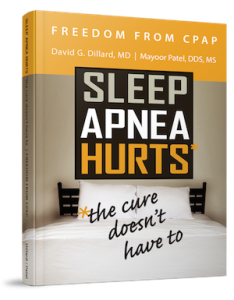 It’s time we up our game with educating our patients about the need to screen for sleep apnea. We can help the sleep apnea industry grow, while keeping productivity high with proper treatment. What are ways we can continue to grow the education area of sleep apnea?